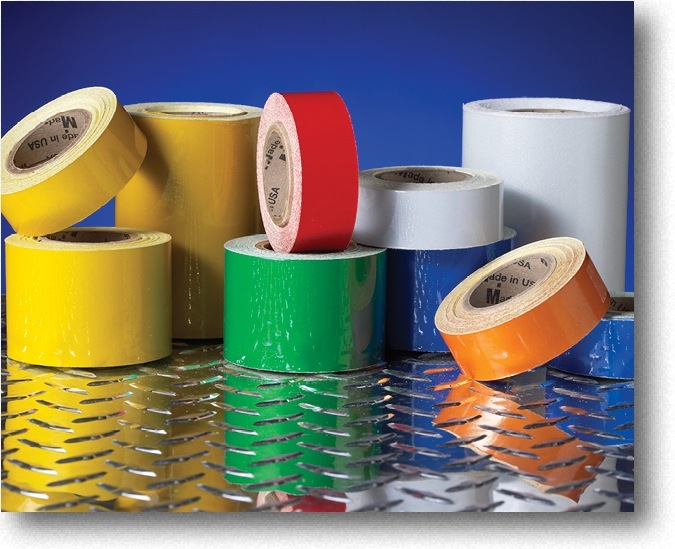 Our pressure sensitive engineer grade reflective tape can be used indoors or outdoors, day or night. Enclosed glass beads reflect light making the tape highly visible at night or in blackout conditions. 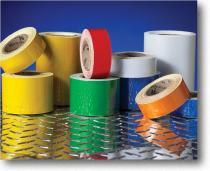 Available in 1”, 2”, and 4” widths, 10 yard or 50 yard rolls in red, white, blue, yellow, orange, and green. Custom widths up to 48” available by special order.